Turning valves and valve handwheels is an vital task in maintaining water infrastructure. An organization can have hundreds or even thousands of valves that must be controlled, or in some industries “exercised”, the process of running a valve through its full cycle to prevent sticking or freezing caused by factors such as tuberculation. 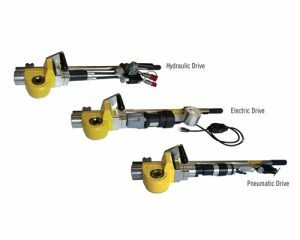 Wachs P-2 and RS-2 handheld operators are the ideal tool for operating or exercising handwheel and rising stem valves, and are available in three different drive options. The P-2 is offered in your choice of high torque (HT) or high speed (HS) models.